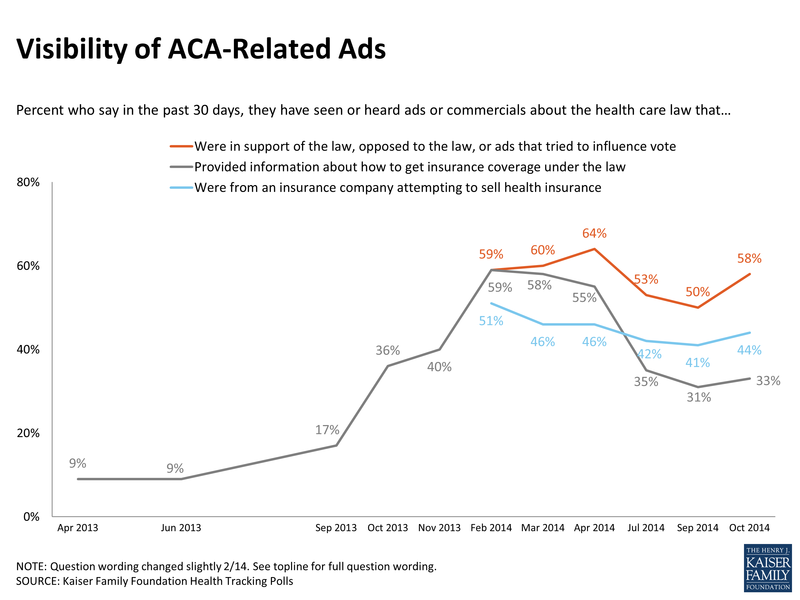 The Kaiser Health Tracking Poll periodically measures the visibility of health insurance advertising and political advertising related to the ACA among the general public. Most recently, about 6 in 10 say they had seen an ad opposed to the law, in support of the law, or that tried to influence their vote for a particular candidate due to their position on the law. Substantial shares also say they have seen ads from insurance companies (44 percent) or ads that provided information about how to get coverage under the law (33 percent). 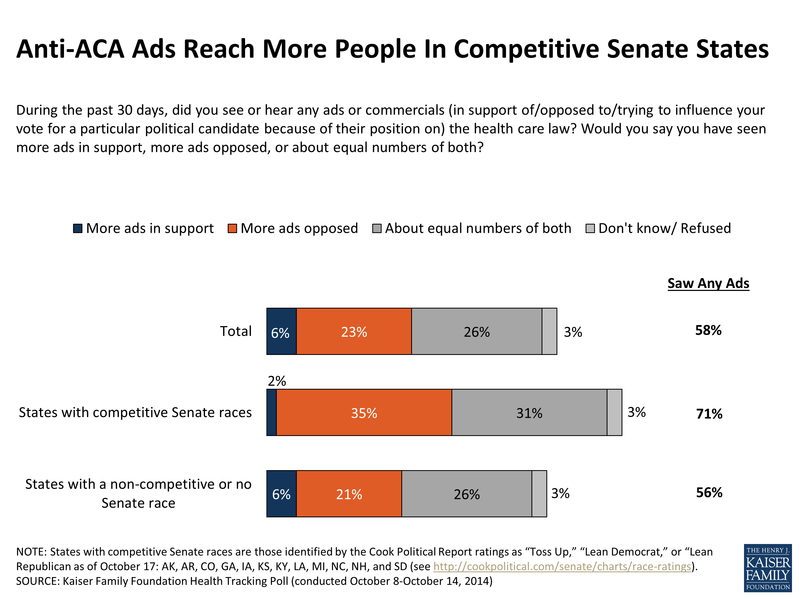 These levels have remained substantial over the course of 2014, but are higher than reported advertising visibility in early 2013 (Figure A-1).1In the last tracking poll prior to the midterm elections, a larger share of those who report seeing political advertising related to the law say they have seen more advertising opposed to the law than in support of it, particularly those in states with competitive Senate races (Figure A-2).